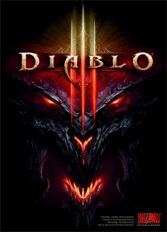 The big question is, can Diablo 3 live up to all the hype. So far it seems to be doing a pretty good job, mostly. The cutscenes are awesome but that's a Blizzard speciality and is to be expected. The graphics look great are are pretty much what you'd expect from an updated Diablo 2. The story so far is interesting but I haven't learned much yet. Controls are accurate and intuitive. These are all good but also to be expected from a high end developer like Blizzard. What's now to be expected is the new concept of single player lag! Blizzard have made the questionable decision to make to game work online-only even if you're only playing single player. This does make thing like the live action house possible and makes it easier for players to quickly jump in and out of co-op games with friends. However it also means that even if you're playing on your own you are still connected to Blizzard's Battle.net servers and if those servers are down you cannot play the game. The problem is that as usual with an online game release Blizzard have completely underestimated the demand. So the servers are stretched beyond capacity and no-one who bought the game can actually get on to play it. Sometimes it's okay, sometimes it's slow, and other times it doesn't respond at all. I have played for a little while but after I logged off to get some food I've not been able to get back on. Now I'm sat on Skype with a couple of friends all constantly re-trying as we wait to play some co-op.